The Directors are pleased to provide an update on trading during the six months ended on 30 September 2018, which has been consistent with their expectations. The Group’s principal activities, being Shapero Rare Books and Scholium Trading, are expected to have performed broadly in line with their performance in the half year to 30 September 2017. The Group has incurred a small loss in the first half of the current financial year, due to the trading loss in Mayfair Philatelics. Mayfair Philatelics, which commenced trading in November 2017, has now established an annual calendar of four auctions. 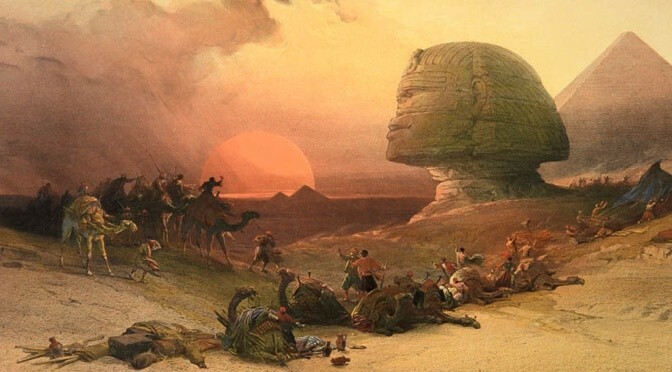 However, only one of these auctions takes place in the first six months, whereas three occur in the second half of Scholium’s financial year. The majority of the costs of the second auction in early October 2018 are included in the results to 30 September 2018, with the revenues of c.£100,000, principally comprising commission, included in the Group’s results for the second half. The Directors note that current expectations for the Group’s trading in the six months to 31 March 2019 should result in an improvement in the Group’s overall performance for the year to 31 March 2019 compared with the prior year. The Directors anticipate that the results for the six months ended 30 September 2018 will be released on 29 November 2018. Scholium is engaged in the business of rare books, art and collectibles. Its primary operating subsidiary is Shapero Rare Books which is one of the leading UK dealers trading internationally in rare and antiquarian books and works on paper. 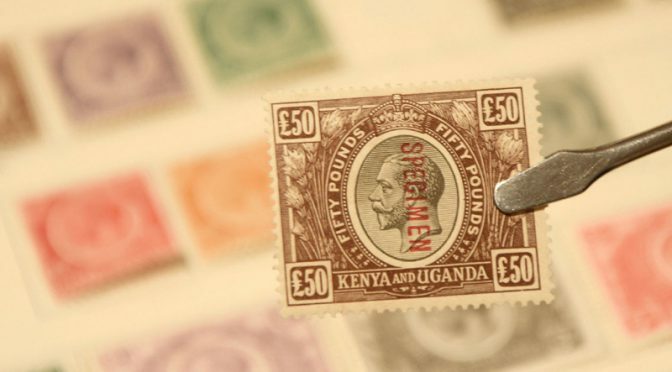 The Group also trades alongside other third party dealers in the broader arts and collectibles business via its subsidiary, Scholium TradingLimited and has now commenced dealing in and the auctioneering of stamps through its subsidiary Mayfair Philatelic Limited. I am pleased to report that the Group has recorded a profit for the financial year, despite absorbing the start-up costs of establishing the new philatelic division, Mayfair Philatelic. The overhead cost reductions were implemented successfully, and the market in our core areas has remained relatively stable, while the re-admission to the Antiquarian Booksellers Association (ABA) has enabled Shapero Rare Books to market itself more effectively. The Group has also made a satisfactory start to the current financial year. The Group has made the important first steps in implementing its strategy of becoming a more widely based collectibles business. Mayfair Philatelic held its inaugural auction in March 2018 and held another auction in June. The Group remains well capitalised with £8.8 million of stock, £0.2 million in cash and no debt. The Group also has an undrawn overdraft facility available to it. Furthermore, the Group is now well placed in the current financial year to benefit from the reduced overhead cost base as well as the more diversified revenue streams now available. The Group is also well positioned to consider acquisitions in line with its strategy. Shapero Rare Books (SRB) returned to profitability in the year ended 31 March 2018. The improvement in performance compared to the prior year was due both to higher sales, as well as the reduction in overhead costs. Expenditure on trade fairs and exhibitions increased from the prior year as a result of access to more fairs following the re-admission to ABA membership. Book fairs are important sources of customers, as well as providing potential buying opportunities. Catalogues have continued to be produced as our customers cannot all visit our retail premises in Mayfair. The SRB website was also modernized during the year with pleasing results and comments from our customers. Scholium Trading performed well in the year and delivered a reasonable contribution to the Group’s performance, particularly as the resources available to it in terms of management time and funding were reduced by comparison to the previous financial year as a consequence of the commencement of the new philatelic division. Mayfair Philatelic commenced trading in November 2017 and held its inaugural auction in March 2018. It initially acquired a substantial stock of stamps and has since commenced the marketing and sale of this and other stock through both retail and auctions, with the predominant offering to date being through auction. Group revenue for the year of £6.7 million (2017: £6.1 million) generated a profit before tax of £38,000 (2017: loss of £224,000). Excluding thefirst year loss attributable to Mayfair Philatelic, the Group profit was £84,000 compared to the loss of £224,000 in the prior year. The successful implementation of the overhead cost reductions in the year would not have been possible without the dedication of our employees and I would like to take this opportunity of thanking them again for their hard work and effort in helping to restore the Group to profitability. The Group has made a satisfactory start to the new financial year. Each of the three trading entities has continued to make progress and sales have continued the momentum from the second half of the year ended 31 March 2018. The Group remains well capitalised with high quality stock and an ungeared balance sheet and is in a good position to continue its development of a broader based collectibles business. This report provides an overview of the Group’s strategy and business model; gives a review of the performance of the operating entities and of the financial position at 31 March 2018; and sets out the principal risks to which the Group is exposed. In addition, it comments briefly on the future prospects of the business. The Group is engaged in the business of rare books, fine art and collectibles. The majority of the business transacted is as a dealer — buying, owning and selling items, either on its own or together with third parties who also deal as principals. The Group also conducts auctions where both its own stock and third party consignments are available for sale. The Group maintains value from ownership of its stock and generates value through its expertise, astute buying and the profitable sale of stock. Shapero Rare Books is the main business of the Group. 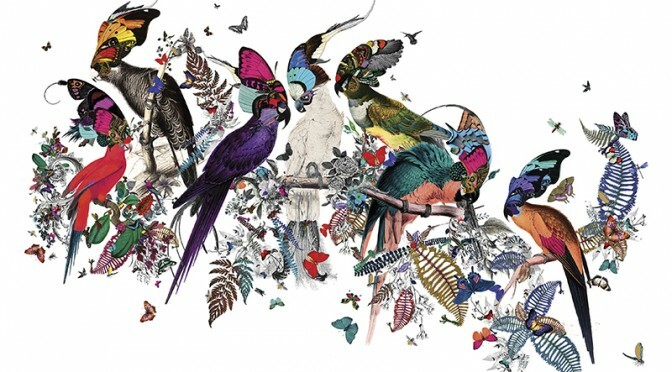 It is a leading international dealer in rare and collectible books and works on paper with special expertise in Natural History, Illustrated, Travel and Exploration and Literature. The business also trades as Shapero Modern in modern and contemporary prints and limited editions by established artists. Scholium Trading focuses on trading works of art in the wider art market using its own capital and the expertise of a small number of known third party dealers and their client bases. Mayfair Philatelic is a dealer and auctioneer of stamps with a particular focus on British and Commonwealth stamps. Regular auctions are held in London and at Lingfield, Sussex, where both the company’s own stock and third party consignments are sold. continue to develop all its entities by trading alongside other dealers in high value rare and collectible items and by participating in the acquisition for onward sale of large consignments. The Directors intend, in due course, to provide an attractive level of dividends to shareholders along with stable asset-backed growth driven by the markets in which the Group operates. The Group’s businesses generally performed well in the year to 31 March 2018. The Group’s businesses including the central overheads but excluding the philatelic division traded profitably in both the first and second half of the year. Revenue increased by 10% and gross profit increased by 10% compared with the prior year ended 31 March 2017, with a slightly higher gross margin percentage in spite of the sale of 50% of the Group’s Russian stock at cost in September 2017. The Group recorded a loss of £23k for the second half of the year ended 31 March 2018, but this was after incurring net costs of £46k in the new Philatelic division. The increase in the Group’s profitability stems partly from the reduction in overhead costs due to the successful implementation of the cost reduction programme as set out in previous reports, as well as an increase in both sales and gross margin, particularly in the Group’s rare books business. The year to 31 March 2018 included the creation and commencement of trading in the Group’s stamp division, where the recruitment of two senior individuals well known in the UK philatelic marketplace and the purchase of collections of British and Commonwealth stamps provided the catalyst to hold the inaugural auction of stamps in March 2018. The increase in margin reflects an improved margin in Shapero Rare Books as well as the inclusion of the margin from the inaugural auction of the Philatelic division. As noted above, the establishment of Mayfair Philatelic required an investment in stock to commence trading. At 31 March 2018, Mayfair’s stock was £636k (2017 £0k). This purchase of stock was the factor primarily responsible for the decrease in the Group’s cash balances from £970k at 31 March 2017 to £216k at 31 March 2018. The Group also retains access to an overdraft facility. Group stock at 31 March 2018 was £8,841k, an increase £968k compared with £7,873k at 31 March 2017. £636k of this increase is attributable to Mayfair Philatelic, and the remaining increase is primarily book and trading stock. The Group is focussed on managing its stock more effectively in line with normal retail practice. The Group is managed by and reports on a number of key performance indicators (KPIs). Shapero Rare Books (SRB) returned to profitability during the year ended 31 March 2018. The year’s sales were £5,756k, above the prior year’s sales of £5,183k and gross profit likewise at £2,237k for the year ended 31 March 2018 compared with the prior year of £1,981k. The increase in the gross profit for the year was particularly pleasing given the sale of a 50% interest in the stock of Russian books in September 2017 at cost. Direct costs including the attendance at fairs, exhibitions, and catalogues increased from £421k in the prior year to £487k in the year to 31 March 2018. This reflected the increased presence at fairs as a result of re-joining the Antiquarian Booksellers Association. Overhead costs reduced from £1,629k in the prior year to £1,523k in the year to 31 March 2018 which reflected the cost savings implemented during the year. SRB therefore recorded a profit before tax of £228k compared with a loss of £69k in the prior year. Scholium Trading performed reasonably well in the year ended 31 March 2018 with a contribution to profit of £162k compared to £241k for the prior year. The reduction in profitability was the result of lower sales as the timing of sales is dependent on individual sections of the art market and the activity and emphasis placed on the item by the third party dealer responsible for marketing the item. Group costs are not allocated to Scholium Trading and, as such, this division has not had any associated cost reductions. The Philatelic division commenced trading in November 2017 and held its inaugural auction in March 2018. Sales for the division in the year to 31 March 2018 amounted to £324k, with a gross profit of £88k. Direct costs including holding the auction, and the overheads for the division amounted to £134k resulting in a loss for the period to 31 March 2018 of £46k. Central costs include the cost of all board members as well as those costs associated with the Group’s AIM listing. The central costs were £303k in the year to 31 March 2018, a net reduction of £93,000 from the prior year’s total of £396k, and reflected the overhead cost reduction programme introduced successfully during the year under review. The Board does not propose to declare a final dividend for the financial year ended 31 March 2018. By definition, rare books and other works on paper, prints and stamps are not commonly available. The availability of fresh stock of such items onto the market is often driven by major life events, such as inheritance, unrecovered debt, divorce or downsizing due to economic malaise. The business of Shapero Rare Books, Scholium trading and Mayfair Philatelic is reliant upon individual works and collections of works coming onto the market and upon the Group being able to access those business opportunities. There is no guarantee that fresh stock will come onto the market in sufficient quantities to meet the Group’s plans for continued growth, or that third parties will choose to consign their items for sale at the Group’s auctions. When works become available for sale or purchase, such sales are often dealt with privately and discretely and, accordingly, there is no guarantee that the Group’s employees will be able to access such business opportunities or to negotiate successfully the purchase of fresh stock coming onto the market or successfully compete for the mandate to auction such items. A significant proportion of the Group’s sales are made at international trade fairs, and in particular the major fairs. If these fairs were to be discontinued it would have a material effect on the ability of the Group to sell its stock. There are a limited number of stands at international trade fairs and as a result places are highly sought after. Whilst members of the Group have been exhibiting at these fairs for many years, there can be no certainty that they will continue to secure places in the future. The market in the books and other items in which the Group trades is competitive. 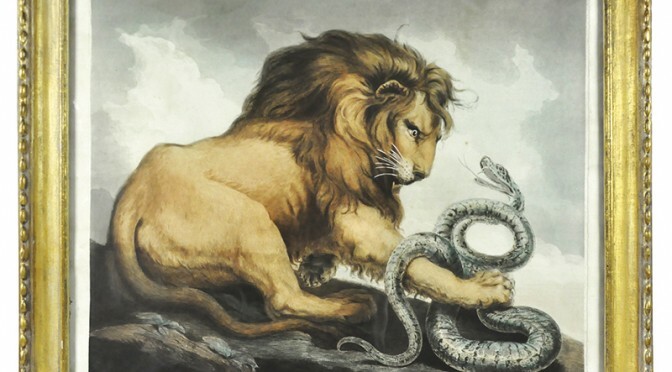 In the market for rare books and other items in which Shapero Rare Books trades, the Group faces various competitive pressures including from the major auctioneers, Sotheby’s, Christie’s, Bonhams and Spink as well as smaller auctioneers and a large number of dealers and smaller operators. The Group is likely to face continued and/or increased competition in the future both from established competitors and/or from new entrants to the market. The Group’s competitors include businesses with greater financial and other resources than the Group. Such competitors may be in a better position than the Group to compete for future business opportunities. If the Group is unable to compete effectively in any of the markets in which it operates, it could lead to material adverse effect on the Group’s business, financial condition, and operations. In the case of high value items or collections, the Group will often acquire the items jointly with another third party bookseller or dealer and if not expressly provided for there is a risk that the Group will not be able to sell the entire asset without the agreement of all joint-owners. In this and other respects the Group relies on the honesty and integrity of other dealers. Whilst the Group takes care to deal only with established counterparties and experienced dealers who are well known to senior management and/or the Directors, there can be no guarantee that co-owners will comply with the agreed terms (including, for example not changing the items) or that such co-owners will not enter into administration or other insolvency procedure, and in the event there is a loss of the co-owned goods it is not certain that the Group could claim under its insurance policy in relation thereto. The Group will trade in rare and collectible items, which may be highly illiquid. The value of goods acquired is difficult to assess and it may not be possible for the Group to sell the assets at or above the price for which they were acquired. The value of assets in the balance sheet may not always represent the actual resale value achievable. Rare and collectible items are highly mobile goods. Furthermore, such goods are frequently transported internationally for trade shows or other marketing opportunities. Whilst precautions are taken to ensure safe passage, the Group’s assets may be lost, damaged or stolen. While the Group carries specialist insurance, there is no guarantee that the Group’s insurance cover will be adequate in all circumstances. Assets of the Group will be placed with third parties for sale on commission. While the Group intends to take appropriate precautions when placing assets with third parties, there is a risk that these assets outside of the Group’s direct control may be stolen or replaced by unscrupulous third parties with fakes or forgeries. The Directors of the Group will ensure that due diligence is undertaken on the authenticity of the assets acquired for sale. Nonetheless fakes and forgeries do exist in the market and despite due diligence the Group may acquire these believing them to be authentic. Further, the attribution of works to a writer or artist is not always an exact science, and there can be no guarantee that assets of the Group will not have been mistakenly attributed in this way. Lack of authenticity is not covered by the Group’s insurance. Whilst the Group takes appropriate care when acquiring works which may be of material importance in the state of origin, there can be no guarantee that works acquired by the Group are not subject to restrictions on export or sale. 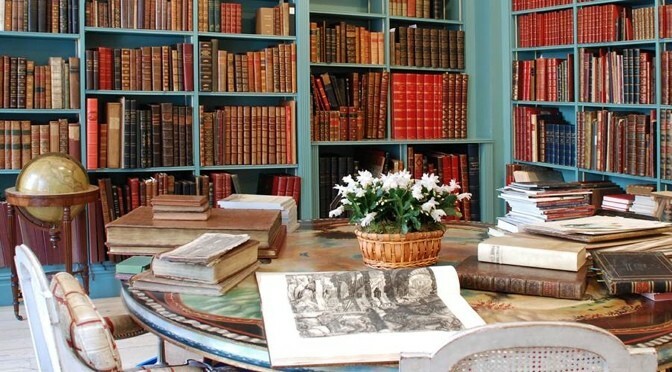 The Group carries a specialist insurance policy under the Antiquarian Booksellers Association Insurance Scheme which covers each of the businesses. The Directors believe that the Group carries appropriate insurance for a business of its size and nature but there can be no guarantee that the extent or value of the cover will be sufficient, in relation to stock in transit or on consignment. The Directors review the Group’s insurance arrangements on an annual basis and endeavour to insure its stock adequately, but there is no certainty that future claims will not fall within the exclusions under the policy or that the insurer will pay out any claim if made. Further, there can be no guarantee that the necessary insurance will be available to the Group in the future at an acceptable cost or at all. Like many of the established dealers in the market, the Group has a publicly accessible gallery in Mayfair, London from where Shapero Rare Books and Mayfair Philatelic operate. The Directors believe that the location is highly desirable and an important factor in the success of the business as a whole. In light of the foregoing, there can be no guarantee that the Group’s arrangements with its customers will not be terminated on short notice or that the Group will not at some future time face challenges or disputes in relation to the contractual or other arrangements with its clients. If the Group became involved in a contractual dispute and/or a third party was successful in any contractual dispute with the Group, any resultant loss of revenues or exposure to litigation costs or other claims could have a material adverse effect on the Group’s reputation, business, financial condition and/or operations or financial results. The Group has revised its standard terms of sale to seek to ensure that, henceforth, the arrangements with clients, customers, dealers and others will include terms dealing with each of the aforementioned areas. The Group is reliant on a small group of key employees for their knowledge and the reliance customers place on their integrity and service. In the event that a key employee were to leave, the business may suffer a short term decrease in performance whilst it adjusts to the level of resources available to it. The Directors anticipate that the Group will conduct certain of its transactions other than in Pounds Sterling, the Group’s functional currency. As a result, movements in foreign exchange rates may impact the Group’s performance. The Group does not enter into any contracts for any hedging arrangements in respect of currency positions. The Group remains well capitalised with high quality stock and an ungeared balance sheet, and an overdraft facility and is in a good position to continue its development of a broader based collectibles business. There were no transactions with owners in the year. Share capital Amount subscribed for shares at nominal value. Merger reserve Amounts attributable to equity in respect of merged subsidiary undertakings. Retained earnings/(deficit) Cumulative profit/(loss) of the Group attributable to equity shareholders. Share premium Amount subscribed for share capital in excess of nominal value less attributable share-issue expenses. Scholium Group plc and its subsidiaries (together ‘the Group’) are engaged in the trading and retailing of rare books, works on paper and stamps primarily in the United Kingdom. The Company is a public company domiciled and incorporated in England and Wales (registered number 08833975). The address of its registered office is 32 St George Street, London W1S 2EA. The consolidated financial information, which represents the results of the Company and its subsidiaries, has been prepared in accordance with International Financial Reporting Standards and IFRC Interpretations issued by the International Accounting Standards Board (together “IFRSs”) as adopted by the European Union (EU) and as applied in accordance with the provisions of the Companies Act 2006. The Company financial statements have also been prepared in accordance with IFRSs. The consolidated and Company financial statements have been prepared on an historical cost basis. All revenues are derived from a single operating segment,collectibles. All employee costs are included in administrative expenses. All shares shown above are authorised, issued and fully paid up. Ordinary shares carry the right to one vote per share at general meetings of the Company and the rights to share in any distribution of profits or returns of capital and to share in any residual assets available for distribution in the event of a winding up. The investments in Group undertakings are recorded at cost which is the fair-value of the consideration paid. The principal subsidiaries of the Company, all of which have been included in the consolidated financial information, are as follows: Shapero Rare Books Ltd, Scholium Trading Ltd and Mayfair Philatelic Ltd, all of which are wholly owned. Deferred tax is calculated in full on temporary differences under the liability method using the tax rates expected for future periods of 19%. The deferred tax has arisen due to the availability of trading losses. The Group has unutilised tax allowances, at expected tax rates in future periods, of £370,000 (2017: £357,000) of which £277,000 has been recognised (2017 £277,000 recognised). As at 31 March 2018, trade receivables of £nil (31 March 2017, 31 March 2016 £nil, 31 March 2015 £nil and 31 March 2014 £4,000) were considered past due and impaired. The other debtors balances are categorised as loans and receivables. All amounts shown under trade and receivables are due for payment within one year. Amounts due from Group undertakings are unsecured, interest-free, have no fixed date of repayment and are repayable on demand. The Directors of Scholium Group plc (the “Group”) are pleased to provide an update on trading for the 12 months ended 31 March 2018. The Group has continued to make progress during the six months to 31 March 2018 and this progress is expected to result in a small profit for the year to 31 March 2018, compared to a loss of £224,000 in the prior year. This profit is achieved after absorbing all of the formation and start-up costs relating to our new division Mayfair Philatelic Auctions Limited. Trading in Shapero Rare Books showed a good improvement overall compared with the prior year, due partly to higher sales and partly to the cost savings implemented. Scholium Trading made a useful contribution albeit slightly below the previous year due to the timing of the sales of certain items delayed into the current financial year. Mayfair Philatelics had a successful first auction in March 2018 with gross sales of approximately £385,000. A further auction is planned for 6 and 7 June 2018. Finally, central costs were reduced by approximately £100,000 during the year. The Company was informed on 16 March 2018 that 573,000 ordinary shares in the Company were sold on that day by Philip Blackwell, a Director of the Company, at £0.48 per share. Philip Blackwell is now interested in 1,528,042 ordinary shares in the Company, representing 11.24% of the Company’s issued share capital.